Isn’t it depressing when you make a post on social media and when you check back later nothing has happened? Nobody has liked, shared, or engaged with your post? It can really make you wonder why you bother to spend time on Facebook, Instagram, Twitter, and the rest. The whole point of social media is to be social. That means that you want people to interact with the content you post. You wouldn’t have made a post if you didn’t think it was valuable – although some of the Facebook posts people make where they share what they have for breakfast do make you wonder! However, there are ways you can improve the odds of people sharing your posts. With a mixture of good posting practices and useful tools, you should get more social shares. Of course, there has to be a reason for somebody to share your post. Nobody is going to share something that looks drab, uninteresting, and bores them. If you create quality, content people will want to share it on its own merits. This is just as valid for an influencer as it is for a business or an ordinary person. The difference is that influencers have already learned what works for their audience. They have already found the tools that give them high levels of social shares and encourage more people to follow them. Experts often claim that for a business to stand out online, they need to create 10x content. It may sound daunting, but you need to create content that is ten times better than the material that already exists online. Now that list may put you off content creation. It sounds like an almost insurmountable task to reach those pinnacles. You wonder how is it that yet another funny cat video goes viral – it clearly doesn’t meet the 10 x content criteria. That is where social distribution comes in. Experienced social users, influencers, in particular, know how to share their content in such a way that people are willing to share content that is perhaps not as good as other material. 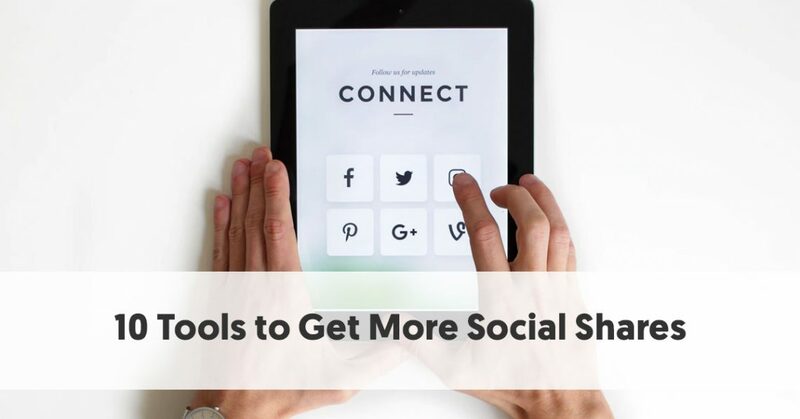 Here are some tools that you can use to help you improve the odds of your content getting more social shares. Even 10x content isn’t going to be shared if people find it difficult to physically share it. You might notice that most blogs and many other websites include social sharing buttons to make the whole process easier and more intuitive for site visitors. According to data from W3Techs, about 32% of websites now use WordPress. The percentage of blogs and rapidly changing sites is probably higher. Therefore, if you run a WordPress site, it makes sense to install social sharing icons on your site, to make things as easy as possible for your site visitors. You want anybody who comes to your site, reads/watches your content and likes it to be able to share it on social, just with a button-click. UltimatelySocial’s Social Media Share Buttons & Social Sharing Icons makes the process very easy. It provides easy-to-setup icons for sharing on RSS, Email, Facebook, Twitter, LinkedIn, Google+, Pinterest, Instagram, and YouTube. It also has a ‘Share’ button that covers a further 200+ other social media platforms. The free plugin has a lot to offer, but there is an enhanced Premium Plugin that provides even more. The Premium Plugin permits a considerable number of customizations to your social sharing buttons so you can have them look and behave precisely how you want them. One unusual feature is that you can give several actions to one social media share icon. For instance, your Facebook share icon could both lead visitors to your Facebook page and give visitors the opportunity to like your page. Don’t underestimate the importance of a good headline to a post. The better the headline, the more it will attract people and the more social shares you will receive. However, it can be challenging to think up what your social or blog post should cover. You may have a general idea for a topic, but not know how to hang it. 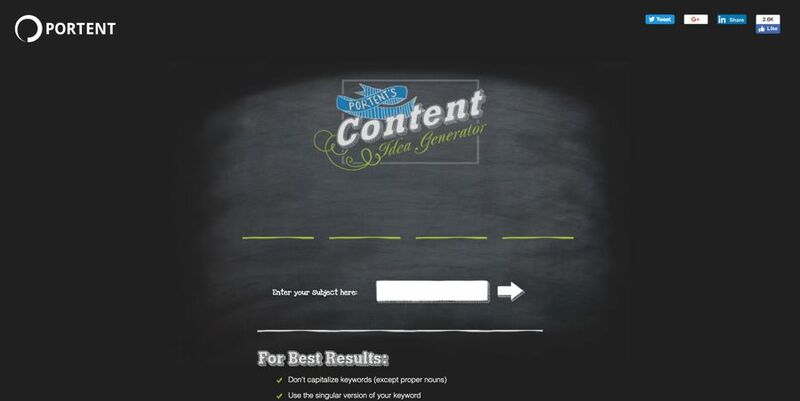 Portent’s Content Idea Generator takes a different view on posts. You give it a basic subject, as a keyword, to start with, then it will come up with an idea for your post. If you don’t like an idea, merely push the button below your term, and it will come up with another possible post idea. 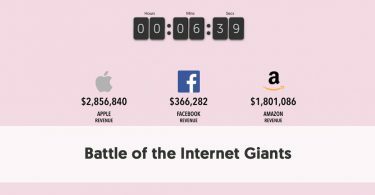 The odds are that the third title, in particular, would have generated far more social shares than a more stereotypical title – albeit it would be challenging to write without becoming clickbait. While also recognizing the importance of a good headline for social sharing, CoSchedule has taken a different approach with their Headline Analyzer. In this case, you have to come up with the headline idea yourself; however, the Headline Analyzer examines it and tells you how good it is. It gives each headline a score out of 100, based on your use of common, uncommon, emotional, and power words. As well as scoring your headlines, the CoSchedule Headline Analyzer, tells you your headline type, carries out a length analysis, and gives you tips on how you can improve your score. It emphasizes the first three and last three words of your heading, as that is what people notice when they skim content. By the way, according to the CoSchedule Headline Analyzer, the best of the suggestions made by Portent’s Content Idea Generator was The Best Ways to Utilize Social Share Tools, to which it gave a score of 77. 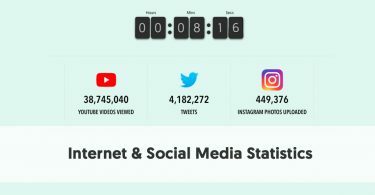 The web is a visual place; it is no accident that Instagram has been the fastest growing social platform of 2018, now with over 1 billion monthly active users. Pinterest is another visual social media network, and it too is finding increased popularity, recently reporting a 25% increase in monthly active users. It can be tricky for visitors to your site to share images on these networks if you haven’t set your site up correctly for easy image sharing. This is particularly important if you have gone to the trouble of producing unique, eye-catching visual material. Sumo has quite a few tools that can help you with social sharing. One of these is the Sumo Image Sharer. Image Sharer makes it simple for your visitors to auto-magically share the images on your site and link back to you. You can control where your visitors share your images, and exactly where the sharing icons appear on your pictures. The basic Sumo Image Sharer is included in Sumo’s free collection of tools. They also have an improved version, Image Sharer Pro, which allows you to make things look more professional, removes Sumo branding, and gives you better access to support should you need it. Shareaholic provides you with a comprehensive set of marketing tools to engage with your audience, get found across search and social, and grow your following. It comes in four tiers of pricing, including the Forever Free plan. This provides all the basics you need for a beginner site, including all of the Shareaholic apps. They add additional features to each of the Professional, Team, and Enterprise plans. One of the main advantages of the paid plans is that they feature more advanced analytics, helping you determine the success of your social campaigns. Regarding social sharing, three of the most useful tools are social share buttons, shareable images, and follow buttons. These are more intelligent and better featured than many of the other social sharing buttons you will find, however. SocialRank helps you understand your Twitter and Instagram audiences. It helps you learn more about the people who follow you, which should help you produce content that will better suit their tastes. It allows you to segment your audience by a wide range of sorting and filtering options. You can make custom lists of people who meet your criteria and export them to CSV and PDF to assist you in running your campaigns. Some of the ways you can sort your followers include most valuable (i.e., influential), most engaged, best followers, most followed, as well as alphabetical and chronological sorting. You can filter your followers at the granular level, down to focusing on particular keywords or hashtags used in their bios. SocialRank for Content is an easy way to analyze granular data around content performance. It produces a comprehensive timeline of each post that gives you insights about its performance and most influential interactions. Google have produced so many apps that it can be easy to forget how useful some of them can be. Google Trends can give you a good idea of what is piquing people’s attention now. It can be hard to come up with blog post ideas. Google Trends can give you inspiration for topics that are currently generating many search queries. You begin by entering a general search term or topic. Google Trends then shows how that topic is trending over time, showing you the geographic areas with most intrst in the subject. It also lists related topics and queries. You can choose whether you want it to show you rising or top topics / queries. You can then click on any selected term to discover its trends, and additional information and suggestions. One of the selections in the left menu is Trending Searches. This brings up a list of daily search trends, as well as real-time search trends. You can select a particular country if you choose. If you want people to share more of your content, it makes sense that you produce the types of content that currently interest them. If you see a trend that is connected to your niche, you could consider creating content on that theme. While there are many tools you can use to help you automate your social sharing, Meet Edgar has one particular feature that can help you gain more social shares. It allows you to select and schedule your evergreen content – keeping your best posts before the eyes of your audience. Of course, you have to find a balance between sharing your best content as widely as possible, and flooding your feed, boring your audience as they see the same posts repeatedly. You need to be particularly careful on Twitter, which limits how often you can tweet an identical tweet. Meet Edgar helps you carry out authentic social media automation. It knows the best times to send out your content. Meet Edgar allows you to build up an unlimited content library. Meet Edgar’s auto-scheduler pulls content from your library. Obviously the more material you have for it to select, the better your posts will perform. 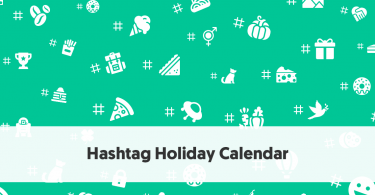 Of course, you may not want all of your posts to repeat – you won’t want your Black Friday posts to start repeating in February, for instance. You can give expiry dates to posts you don’t want to auto-repeat. SocialFlow is another social media optimization app, designed to help businesses perform better with their social media posting. It is very data focused, and can determine when your audience is most likely to use their social accounts. This means that you can use Social Flow to ensure that you are posting your content at the best ties for maximum exposure. It also has algorithms that gauge the popularity of a topic, and so it ensures that you post your articles on that topic at precisely the moment that people are having conversations about that subject. It uses Ai to increase the likelihood of you receiving more social shares, and other types of engagement. The company claims that nearly 200 of the world’s top publishers and media companies use SocialFlow to distribute and monetize their content on social networks. We have written recently that some of the best advocates for a firm are its own employees. Therefore, it makes sense that any business works with its employees to help them increase their social shares. The Smarp employee app brings company news and content directly to employees. It keeps them up-to-date, engages them to communicate, and helps them share their knowledge with their own networks. It helps them share content relating to their workplace with their followers on all of their social networks. Employees can submit and create good content for their colleagues to share. Smarp feeds each employee a customized set of content, related to their positions and interests, i.e. it feeds them an intuitive newsfeed. Businesses can even use gamification in Smarp to encourage their employees to share their content. Socially active employees who share regularly see themselves near the top of a leaderboard. In some organizations, employees can even earn rewards for their social sharing on their employer’s behalf. Every employee earns a SmarpScore, which is effectively a professional influencer index.